DuraFast specializes in serving the "do-it-yourself" label printing market both for industrial and product label printing. Recognizing the advanced capabilities of modern high speed and high resolutions color label printers, we realized that traditional label stock doesn't always measure up. DuraFast offers hassle-free home and business label printing solutions to customers from all industrial sectors. Benefit from a variety of ink cartridges suitable for modern, high-speed printers. Looking for a color label printer for home use or an industrial color label printer for a small business? We have got you covered. You can buy a new printer or lease one from DuraFast. Browse our online collection of printers to choose from a variety of machines that will suit your needs the best. We have popular brands such as Epson, NeuraLabel, iSys Label, UniNet and Afinia Label for best industrial color label printers. You can lease or buy printers with features such as Primera Technology, known to be the best in small business and home based color label printing. We have a range of ink cartridges for label printers in any color, model, brand, or shape. You won’t have to go anywhere else to buy an ink cartridge for rare or outdated printers. We have just the right ink cartridge and toner cartridges that you need. Whether you are buying a product for home use or business use, DuraFast will offer you highly reasonable and affordable rates. You can take full advantage of our low-cost prices. We don’t charge extra for servicing or brokering. We only offer well-made products of the best quality. All products are original or new, unless otherwise stated. Out of lease printers are all top-grade products that have not been overused to the point of disrepair. We understand that you want the best products to get the perfect labels. We do our best to ensure that the products in our inventory are of the best quality. 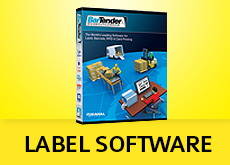 Modern label makers work fast and have high demands. We cater to those demands. You can buy products with the latest specs to make the labels you need.